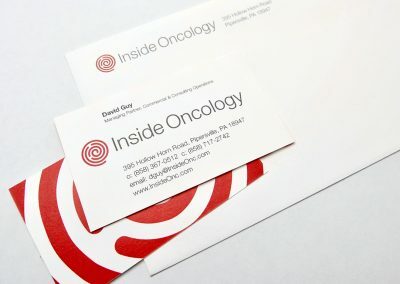 As a new start-up, Inside Oncology asked us to design their brand identity. Our logo concept reflects the company’s processes used in assisting it’s clients. We took the maze metaphor and created a circular maze. The simple, almost hand-drawn features of the maze icon make it friendly and inviting. 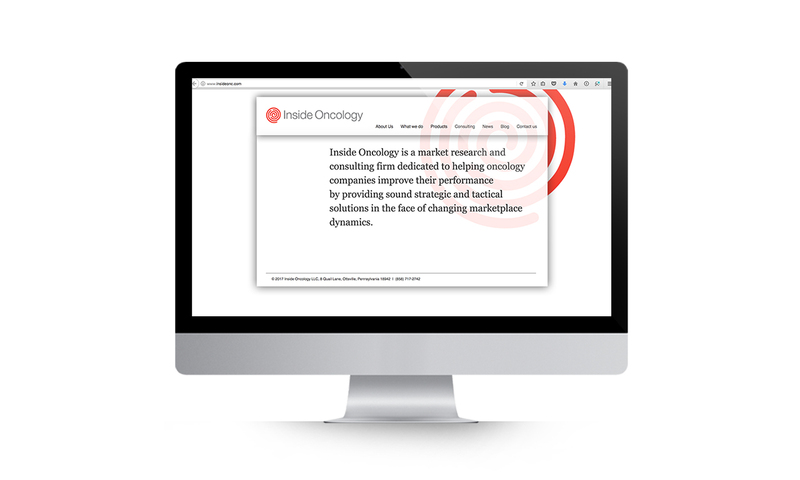 Follow the maze and you land at the center of the “O”, the first letter of the word Oncology. We chose Helvetica Neue Light, a simple, contemporary, easy-to-read, classic sans serif font to keep the identity clean, almost clinically sterile. The choice of red and gray add to the contemporary feeling of the brand. 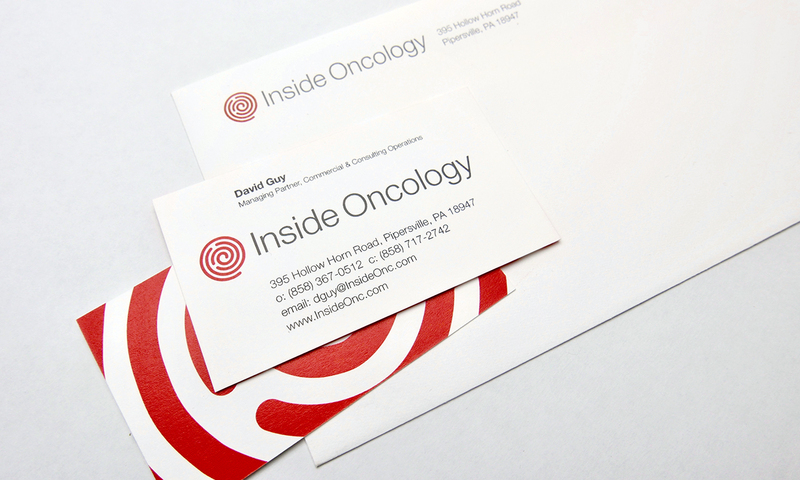 This logo was recognized at the 2013 Philadelphia AIGA Design Awards competition. 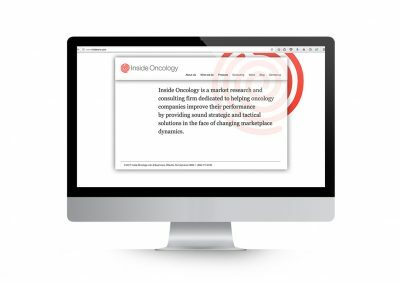 We’re an established marketing and design firm with over 40 years of experience in creating marketing solutions for companies like AstraZeneca, Dow Jones, Merck, and many others in a variety of industries from pharmaceutical to commercial real estate. In both print and digital, our creativity gets results. © 2019 The Steve Williams Design Office, Inc.